This was created for the Pathfinder setting Rhune: Dawn of Twilight. It’s a detailed map of one of the areas shown in the larger world map and is done in a different style to to allow for more detail to be clearly shown. 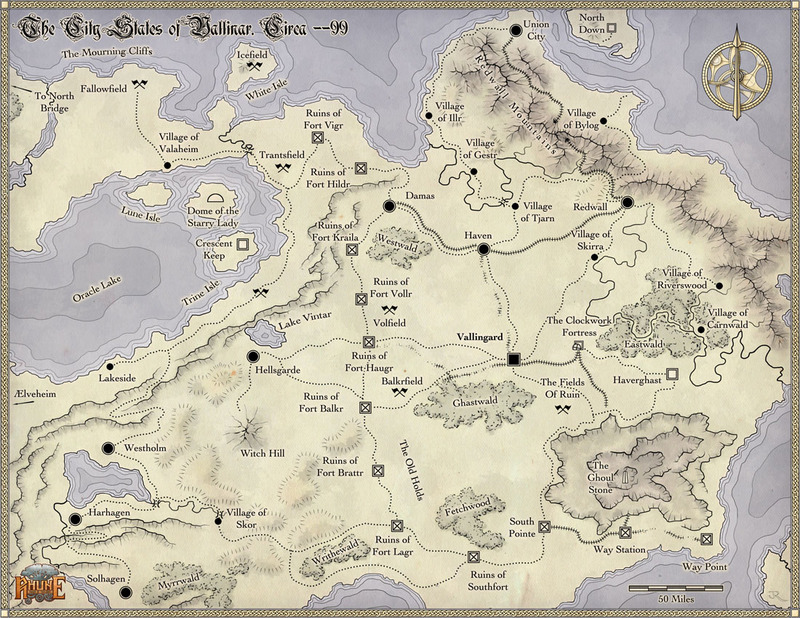 The full resolution version of the map can be downloaded free on the Rhune site.